Assistive Technology aims to offer the widest range of supports so that the user can make best use of all the features and advantages that technology has to offer. Assistive Technology is any item, whether purchased off the shelf, or customized, which enhances an individual’s independence. Assistive technology works best when a good match is reached between the user and the technology. AT is a tool, a means to an end. It is not an end in itself. This is an important point to remember when you are trying out different types of Assistive Technologies. User-friendliness is a key feature to look out for when you set about trialing new devices, or introducing devices to someone else (Enable Ireland, 2011). 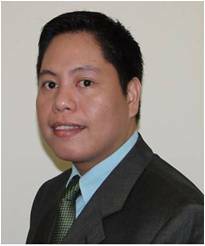 Mr. Allen R. Espelita, OTR, OTRP, CVP, CEAS I A graduate of Bachelor of Science in Occupational Therapy from Emilio Aguinaldo College batch 1999 with 29 units Master of Arts in Education Major in Special Education from University of the Philippines Diliman, Registered Occupational Therapist in USA since December 2011 (NBCOT) and in the Philippines since March 2000 (PRC), Certified VitalStim® Provider, Physical Agent Modalities and Certified Ergonomics Assessment Specialist™ Level I, USA. Post-graduate Advance Training in Dysphagia management both in Adult and Pediatric; Participated in the 14 hours specialization training-seminar on Ergonomics for Therapists: Assessment and Program Design.